On Wednesday, January 17, 2018, Deputies were contacted by Weisbrod Memorial Hospital, for a report of possible elder abuse. Deputies issued three employees; Monique Rasmussen , Kelly Dunlap and Brian Wilson summons to for the following charge: CRS 18-6.5-103(6) Crimes Against At Risk Adults-Caretaker Neglect. During the month of November 2017, Deputies received a report regarding extortion and harassment. Upon investigation, deputies issued a felony arrest warrant for Karl Dotey of Eads. On Friday, January 20, 2018, deputies executed the arrest warrant on Dotey, he was charged with Criminal Extortion in violation of Colorado Revised Statute 18-3-207(1)(a), and Harassment in violation of Colorado Revised Statute 18-9-111(1)(e). 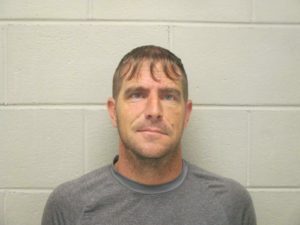 Dotey was booked and held at the Prowers County Jail on a $6,000 cash or surety bond. On Saturday, January 13, 2017, Deputies contacted a vehicle for speeding 96 miles per hour in a posted 65 miles per hour zone on Highway 287 South of Eads. Deputies issued the driver, Michael Harvey, a summons in violation of Colorado Revised Statutes 42-4-1101(1) speeding 96 miles per hour in a posted 65 mile per hour zone. On Thursday, January 11, 2018, Deputies were contacted by Sand Creek Massacre Site, for a report of an unwanted party. Deputies were informed that a male party refused to leave Sand Creek site. Deputies contacted Philip Splitter and took him into custody. He was booked into the Bent County Jail on the following charge: CRS 18-4-503(1)(a) 2nd Degree Criminal Trespass with a bond of $500.